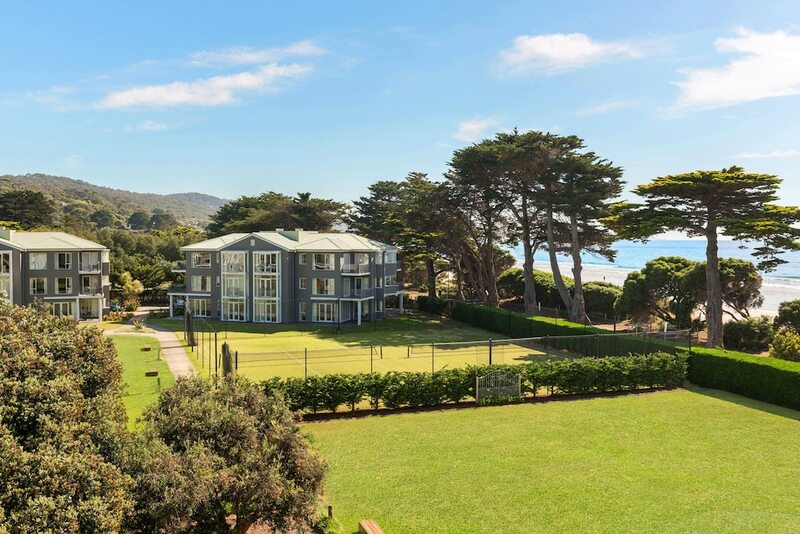 With a stay at Mantra Lorne, you'll be centrally located in Lorne, a 6-minute walk from Lorne Sea Baths and 11 minutes by foot from Lorne Surf Life Saving Club. This 4.5-star hotel is 1.3 mi (2 km) from Lorne Country Club and 1.6 mi (2.5 km) from Teddy's Lookout. Make yourself at home in one of the 277 guestrooms featuring refrigerators and flat-screen televisions. Complimentary wireless Internet access keeps you connected, and cable programming is available for your entertainment. Private bathrooms have complimentary toiletries and hair dryers. Conveniences include phones, as well as desks and coffee/tea makers. Take time to pamper yourself with a visit to the full-service spa. You're sure to appreciate the recreational amenities, including outdoor tennis courts, an indoor pool, and a spa tub. Additional amenities at this hotel include complimentary wireless Internet access, wedding services, and tour/ticket assistance. Satisfy your appetite at The Larder, a restaurant where you can enjoy drinks at the bar, take in the garden view, or dine alfresco. Full breakfasts are available daily from 7 AM to 10 AM for a fee. Featured amenities include a business center, express check-out, and a 24-hour front desk. Planning an event in Lorne? This hotel has 0 square feet (0 square meters) of space consisting of conference space and a meeting room. Free self parking is available onsite. In addition to a full-service spa, Mantra Lorne features outdoor tennis courts and an indoor pool. The hotel offers a restaurant. A bar/lounge is on site where guests can unwind with a drink. Wireless Internet access is complimentary. Business-related amenities at this 4.5-star property consist of a business center and a meeting room. Event facilities measuring 0 square feet (0 square meters) include conference space. This luxury hotel also offers a spa tub, a 24-hour fitness center, and a steam room. Onsite self parking is complimentary. Mantra Lorne is a smoke-free property. The Larder - Overlooking the ocean and garden, this restaurant serves breakfast and dinner. Guests can order drinks at the bar and enjoy alfresco dining (weather permitting). A children's menu is available. Open daily. An indoor pool and a spa tub are on site. Other recreational amenities include outdoor tennis courts, a steam room, and a 24-hour fitness center. Guests should be aware that WiFi is only complimentary for 1 GB of usage, per day. For more details, please contact the property using the information on the reservation confirmation received after booking.